Kindergarten is fun! While I miss my baby when he is away from me, I love waiting to see what is in his backpack each afternoon. He writes all his letters and numbers and looooooves trying to sound out words. He is already learning sight words in his homework each week. In fact, he can’t get enough of this thing called reading. 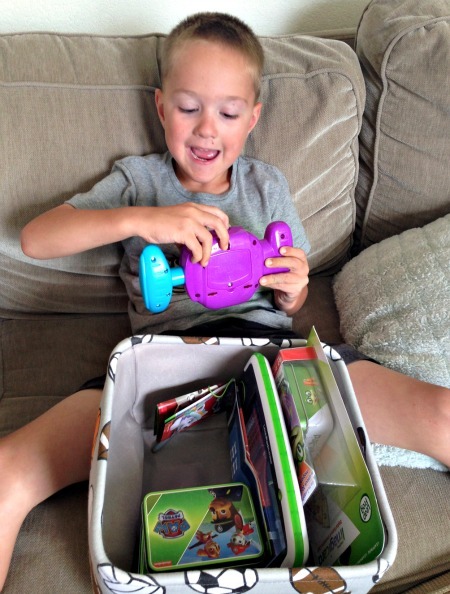 LeapFrog sent us a box full of goodies for P’Diddy to help with his learning this year. He thinks it’s all about play and I smile thinking about all the extra ‘work’ he is fitting in each day. 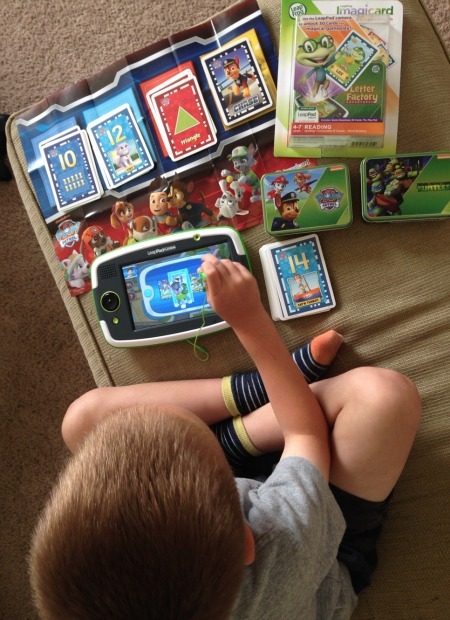 The LeapPad Platinum is a handheld tablet made just for kids ages 3-9. The installed learning library has over 1,000+ games! It also has built-in wifi so you can sit down with them and surf the web in a kid-safe environment. If another friend (or sibling!) has an enabled LeapPad they can play, aka learn, together. One of P’Diddy’s favorite things to do is take pictures and video! And I can’t forget the music player. There really is a lot to do and I’m not even done yet! With the LeapPad Platinum you can also buy separate digital and interactive card games called Imagicards. You downloaded the ‘app’ right onto the LeapPad so there isn’t an extra cartridge to keep track of. They also come with 30+ playing cards and a playmat which folds up into a cute branded tin when not in use. Thank you for this storage help LeapPad! The game themes come in our favorite cartoon characters. Save Adventure Bay with Paw Patrol is P’Diddy’s favorite tv show and now favorite activity. He gets to help Ryder and the other Paw Patrols on their mission with brings out his problem solving skills. He’ll learn numbers, counting, shapes, patterns, addition and subtraction all with these loving pups. Team Up with Teenage Mutant Ninja Turtles is always the rage with young boys. Using his math skills, he’ll help the turtles recover mutagen canisters that are scattered around the city. This one will help him over the next few years with addition, subtraction, multiplication, division, fractions and number composition. Letter Factory is right up P’Diddy’s alley! He takes photos of the 26 letter cards and brings them into the game and then goes on quests to find lost items that begin with each letter. It’s so cute! They will be working on phonics, spelling, consonants, word sounds and sight words. One more LeapFrog product I want to chat about and that is the Word Whammer. 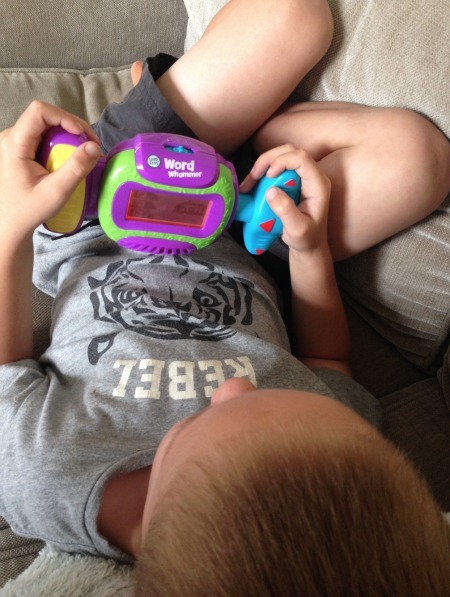 You will find P’Diddy laying on the couch almost daily making all kinds of noises as he spins, pushes and twists the handle to identify letter and builds words. I really like this one for the car too because it is lightweight and easy to bring along. Hope I’ve given you some new educational ‘toys’ to check out! 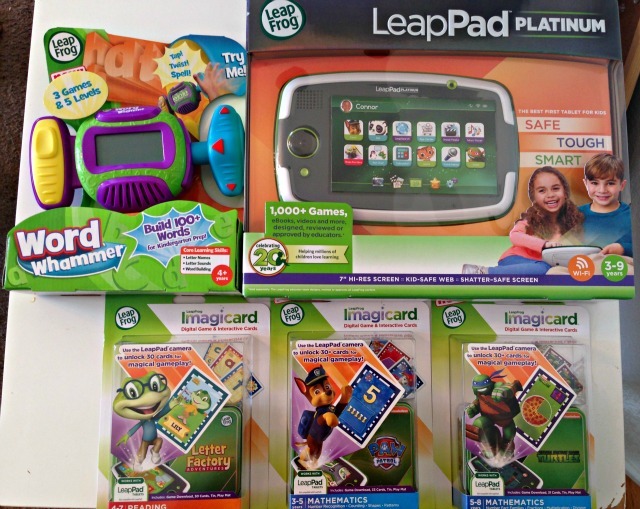 Have you seen these LeapFrog products yet? As a LeapFrog Mom Ambassador I receive products, promotional items and educational material to use and share as I see fit. However, any opinions expressed by me are honet and reflect my actual experience. 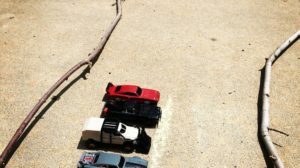 B.toys will make you B. Happy!